Veteran DIRTCar Driver Tommy Vigh Jr. is near wrapping up his 2018 racing season, one the best of his career since teaming up with Extreme Energy Solutions in 2016. With his open wheel Sportsman Division Points season just one race away from coming to a close; Vigh is still in the hunt for the Sportsman Division Championship at his home track of Orange County Fair Speedway, Middletown, New York where he currently is 5th in point standings; only 18 points from 3rd position in point standings; and a win away from capturing the Championship with one race to go. Vigh brought his short track experience, along with his sponsors, to ARCA in 2018, making his ARCA Debut on June 15, finishing 15th at Madison International Speedway. 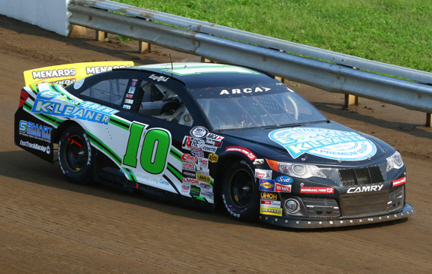 Vigh continued the momentum, as he racked up a 12th place finish at Illinois State Fair Grounds, after being caught off pace, when the number 3 machine of Cooksey ran into Vigh with just a few laps to go, as Vigh was running in 11th position, challenging Natalie Decker for the 10th spot at the first of the pair of ARCA Racing Series Presented by Menards “on the dirt,” races. Vigh Jr. is scheduled to compete at the General Tire Grabber 100 by Federated Auto Parts on Labor Day, Monday, September 3, 2018 at Du Quoin State Fair Grounds in Du Quoin, Illinois, in hopes to finish in the top ten; behind the wheel of equipment supplied by Andy Hillenburg and his Fast Track Racing Enterprises. Vigh will pilot the #10 car of Hillenburg, decorated with the logo of Extreme Energy Solutions, Inc. and its product brands, including: SMART Emissions Reducer, Extreme Kleaner, H2O Energy Flow, and Extreme Xtra Fuel Treatments. Associate sponsors expected to be on the car include: Mendia Studios, Hardware Hank, and Manawa Community Living Center. Affiliated sponsors contributing to this effort include: TAPinto, Project Help, Gravity Design Works, Follow Me Social Media Consultants, and Sam Burlum Business Strategy & Consulting Services. “Every time Tommy hits the track, he is improving and he is showing signs of promise that he can compete on the short tracks of ARCA. 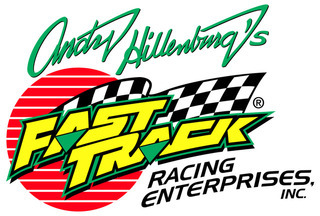 We hope to help develop Vigh so he can go the distance on a full ARCA schedule,” commented Hillenburg, Owner of Fast Track Enterprises. “We are proud of the job Vigh has done this year on and off the track. He has made a brilliant debut in ARCA considering he has never had the kind of seat time behind the wheel of an ARCA stock cars compared to the weekly competitors. Off the track, Vigh has been available to represent our brand to retailer partners and our consumer fan base that can appreciate identifying with the Veteran Statesmen, someone who has earned their way through the racing ranks and also is a blue collar racer. We are also very appreciative of the relationships that have developed throughout the ARCA camp, in order to continue the brand awareness of Extreme Kleaner, SMART Emissions Reducer, and H2O Energy Flow,” added Samuel K. Burlum, CEO and President of Extreme Energy Solutions, Inc., the green tech parent company of SMART Emissions Reducer and Extreme Kleaner. “I can’t thank Andy Hillenburg and the crew, and Extreme Energy Solutions for all of their support and for the opportunity to try racing at the ARCA level. I look to continue the relationship moving into 2019,” expressed Vigh. The spotlight is not just on Vigh when he is on the track. 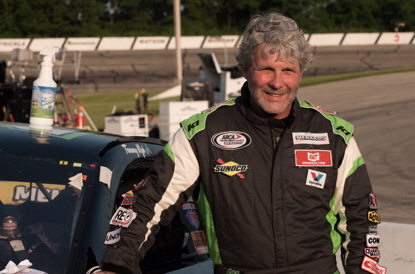 Vigh also starred in one of the Extreme Kleaner television commercial spots, which have aired during selected live ARCA race events on MAV TV. Vigh can be seen putting Extreme Kleaner to work on his #92 Extreme Kleaner Available at Hardware Hank-Extreme Energy Solutions supported open wheel Sportsman dirt modified. The success of the Vigh-Extreme relationship resulted in Extreme Energy Solutions’ consumer products becoming available on the shelf nationwide in over 500+ selected retailer locations, including selected Menards store locations and online via Menards.com. The General Tire Grabber 100 by Federated Auto Parts at Du Quoin State Fairgrounds in Du Quoin, Illinois is scheduled for competition on Monday, September 3, 2018 (Labor Day), from 3:00 to 5:00 pm (CDT), with practice beginning at 9:45am, followed by time trials and qualifying, and will be televised live on MAV TV.